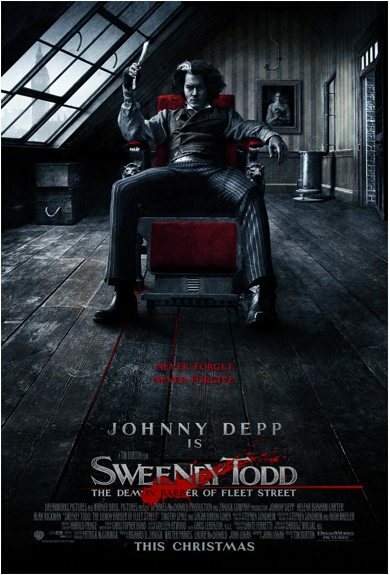 With Tim Burton’s Sweeney Todd: The Demon Barber of Fleet Street only days away from opening, anticipation for the movie is reaching fever pitch. Everyone is talking about the movie and this early a lot of people are saying that it is going to be one awesome experience. For those who can’t wait for the film to open in theaters, here’s a treat. the opening title sequence for the movie has been made available online. Burton is known for having some of the coolest title sequences and this is no exception.